In the Rittenhouse Square section of Philadelphia, just a few blocks southwest from the famously spooky Mutter Museum, stands a modest little firehouse. Built sometime in the 19th century, the humble brick structure is tucked among other larger brick buildings on South 16th Street, making it easy to miss. It has been years since this charming building housed any fire-fighting equipment; today it's just a private, anonymous building with private, anonymous owners, one of hundreds of such buildings that can be found in any given city. 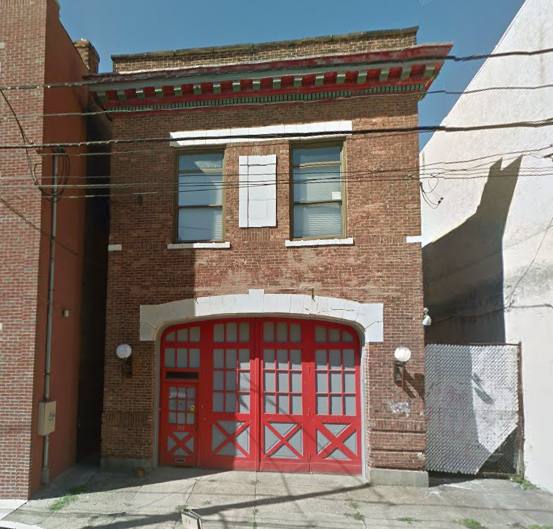 But, like all buildings, the tiny brick firehouse has a story to tell, and it's strange story might even be more chilling than any of the human oddities that have been displayed a short distance away at the Mutter Museum. 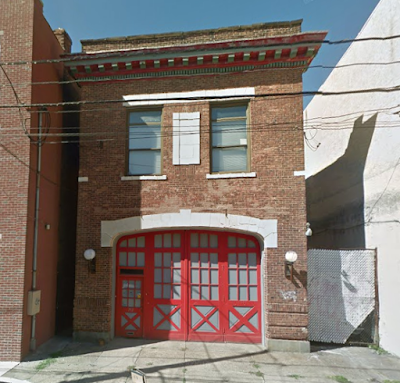 In the fall of 1892 the building at 754 South 16th Street was home to the firemen of Truck E. Even back then it was an old building and had fallen into a state of disrepair. It had been built years earlier as a soap factory, and had served that purpose for many years. After firemen noticed that the building seemed to be sinking into the ground, Inspector Zimmerman was called to make an examination. Zimmerman concluded that there was only one way to save the building from collapsing, and that was by underpinning the foundation walls. This would be a long and complicated procedure, Zimmerman soon realized. Six piers would have to be built, two on either side, one under the back wall and another under the front. These piers would have to be slipped beneath the firehouse's foundation in order to evenly distribute the tremendous weight of the brick structure. 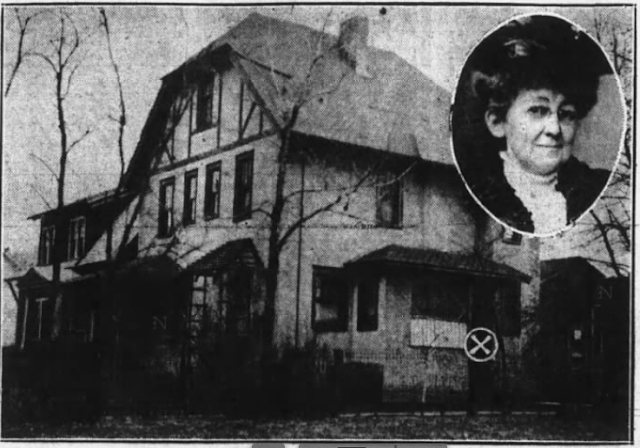 A builder named Frank Sweeny won the contract for the project, and Sweeny immediately hired two men to excavate the cellar in January of the following year. 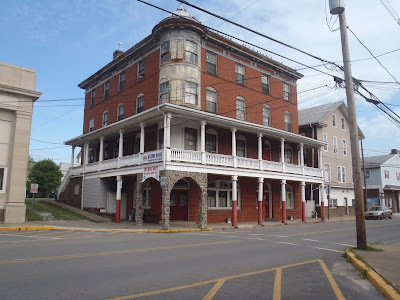 Sweeny's men began on the north side of the firehouse and had dug down just a few inches into the soil when one of worker's shovels struck a solid object. It turned out to be a coffin. This find was followed by others, many others. The coffins, all hewn from rough pine, had been oddly arranged, in rows of three and stacked atop each other eight coffins deep. In this fashion, whomever had buried them managed to bury dozens of corpses in a tight space. In total, 45 coffins were unearthed in the cellar of 745 South 16th Street. Upon receiving word of the gruesome discovery, the firemen of Truck E insisted upon finding themselves a new headquarters. After digging through city records, it was eventually learned that the ground had been used in the 1830s as a Potter's Field for the almshouse that used to stand on the east side of 16th Street, which was known in the early part of the 19th century as Irish Track Lane. The paupers who lived there, and died there, were laid to rest in unmarked graves in the Potter's Field. The area where the firehouse stood, and still stands, was a portion of the Potter's Field where black residents were buried. Of the 45 corpses unearthed, 44 were found to be those of black Philadelphians. But that wasn't the most shocking discovery. Much to everyone's astonishment, the Potter's Field was discovered to have extended across the entire block, bounded by 16th, 17th, Fitzwater and Catharine Streets. It was an enormous area for a burial ground, and the mind boggles at just how many of Philadelphia's unknown dead might still be buried there, crumbling to dust beneath the many old brick buildings that are still standing there today.